Use 2-3 rings of pineapple to cut out Lumiere’s body, the bottom half of his head, his arms, and his flames. 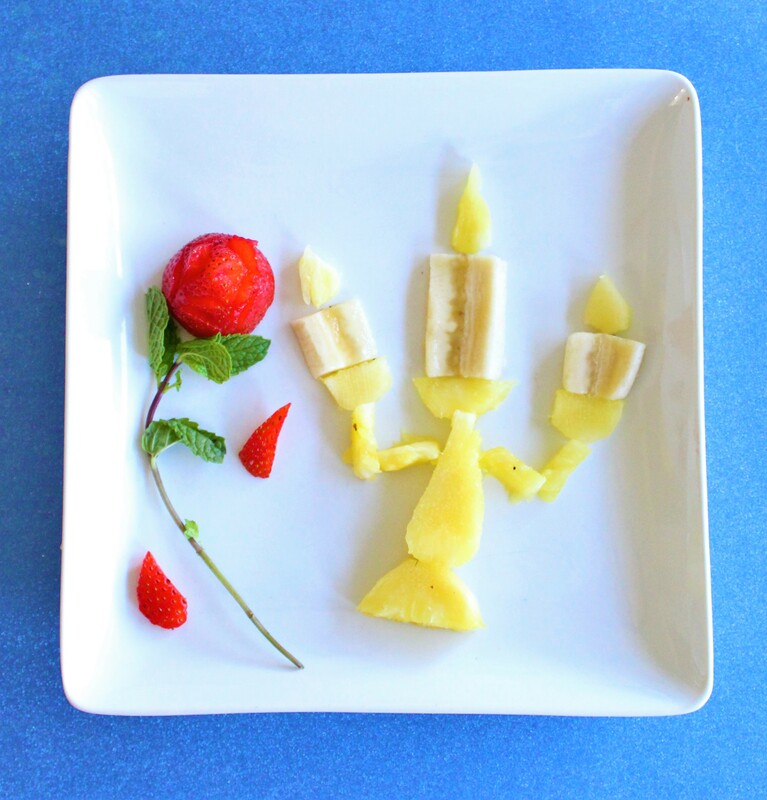 Use banana halves for the candle wax portions of Lumiere. Cut the top of a strawberry off so that it lays flat upside down on a plate. Cut crescent shapes with a small pearing knife in multiple layers to create a petal look. Place a stem of mint leaves below the strawberry rose to look like a stem. If you like to have more garnish, cut a couple pieces of strawberry into rose petal shapes.